Hannah, one of my supervisors, said pointing into the oncoming traffic lane as we were driving. This was one of my first encounters with a Blanding’s Turtle. This individual was proudly sitting at the far edge of the lane, displaying the bright yellow chin and throat that is so characteristic of the species by putting its head aloft in a pose full of innocent curiosity… as a car rapidly approached. “Oh, don’t you dare hit it,” Hannah grumbled as she flew out of the car to help the turtle. This particular turtle was unharmed; the driver moved to avoid it as they approached (thank you, whoever you are if you are reading this). Unfortunately, all too often, this is not the ending to such encounters. This is one of the main reasons why all eight of the turtle species in Ontario are now listed as being at risk. Even the Painted Turtle has recently been listed. That’s where the Canadian Wildlife Federation turtle team comes in. 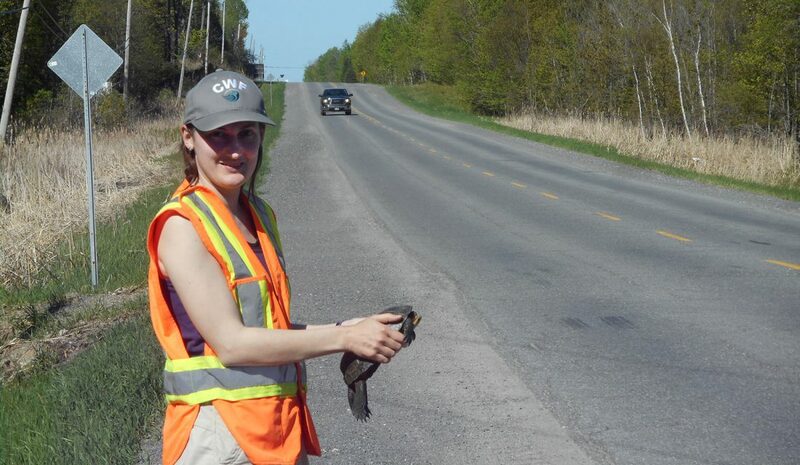 The Canadian Wildlife Federation is in its second year of identifying places of high turtle road mortality, or “hotspots.” By surveying roads and finding these areas, we are able to inform municipalities on where it is important to put up mitigation measures to prevent further turtle deaths on the road. The most common and simplest of these mitigations are turtle crossing signs to warn drivers of the potential hazard. We are particularly fortunate to be able to monitor areas with new signs put up this year in order to determine their effectiveness. Another common, and likely more effective, measure are fences that guide turtles and other wildlife to the nearest culvert that passes under the road. 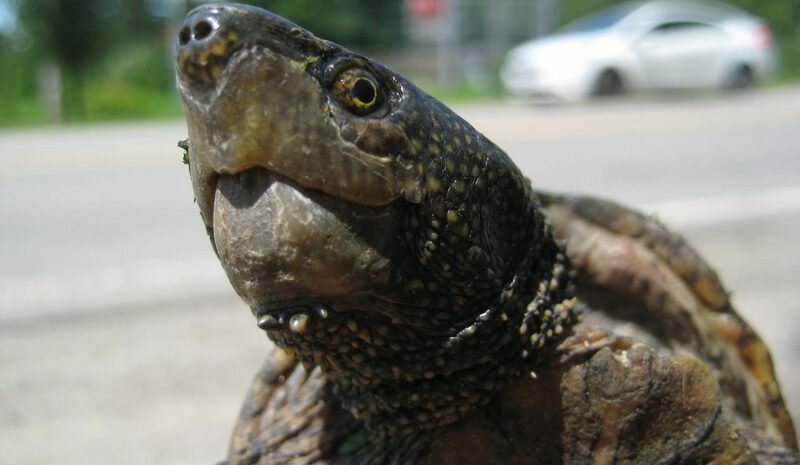 As a side effect, these surveys are also helping to create more accurate maps of the current distribution of the turtles that can be found in the Ottawa area. Just this summer we have found over 600 turtles on the road. One memorable find was a Musk Turtle alive at the side of the road in an area where the species had not been reported since 1947. Also, observations of some species, such as the previously mentioned endangered Blanding’s Turtle, can result in habitat protection for nearby wetlands where these turtles live. So why should this be a concern when there are plenty of other animals being hit on the road each year? Unlike mammals or birds, turtle species have extremely low survival rates until they are fully grown. To compensate for this, they rely on mature individuals producing hundreds of eggs over multiple decades just to replace the parents. This many eggs may sound excessive, but most of the nests are raided by predators such as foxes or raccoons before the eggs hatch. 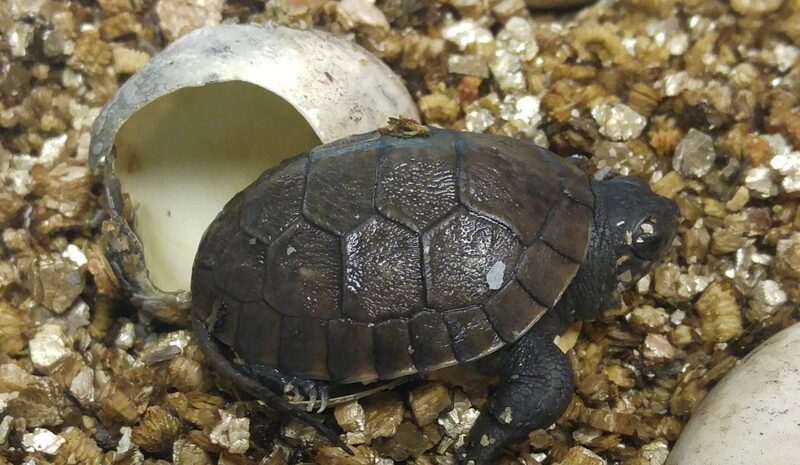 For the hatchlings that do make it out of the nest, they are then faced with the task of surviving 10 to 20 years before they can start producing offspring of their own. Because of this, the death of any individual adult is a serious loss to the population. Although we are doing our best to help the turtles in the Ottawa area, they can always use more help. By assisting turtles crossing the road (see “How to (Safely) Move a Turtle across The Road”), or even slowing down around wetlands, we can all help prevent turtle road mortalities. Also, submitting sightings of turtles, alive or dead, either online or through apps like iNaturalist is also beneficial. Just submit a photo and the location to help ensure a prosperous future for our turtles. 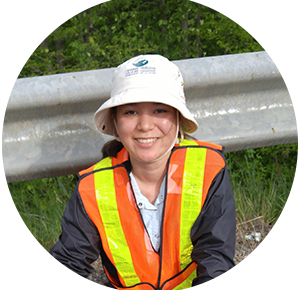 Mackenzie Burns is a university student studying marine and freshwater biology at the University of Guelph. 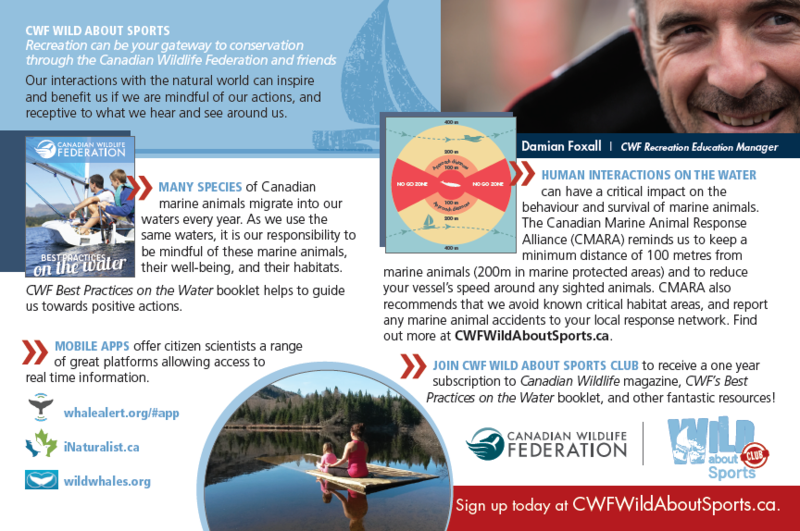 She was part of the CWF turtle team the summer of 2018.